The proposed paper will examine the role of contemporary art exhibitions in the process of the political integration of Europe between the end of the Cold War (1989) and the Eastern Enlargement (2004). To do so, the paper will discuss a range of inter-European exhibitions which aimed to construct and disseminate a new notion of a “united” European contemporary art world. Those exhibition projects – organised predominantly by Northern and Western European art institutions – intended to either ‘bring together’ artists from the former East and West so as to break the dichotomies of their distinct socio political roots; or to conduct major surveys of Eastern European art within the framework of the newly globalised art world in order to legitimize art from the region and place it in the universal (Western) cultural context. 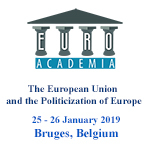 The paper will discuss resonating examples of these institutional (and simultaneously political) strategies informing exhibitions such as ‘Interpol’ (1996), ‘Europa, Europa’ (1994), ‘Manifesta 1′ (1996) and ‘Manifesta 2′ (1998) as well as attend to and examine less debated exhibitions including ‘Kunst, Europa: 63 deutsche Kunstvereine zeigen Kunst aus 20 Ländern’ (1991) and ‘After the Wall: Art and Culture in Post-communist Europe’ (1999). This presentation will seek to problematise the use of contemporary art as a presumably neutral platform of dialogue between Eastern and Western European states, which supported the process of socio-political Europeanisation of the former East. At the same time, it will situate the aforementioned projects within the broader debates on the attempts to construct the post-ideological socio-political landscape of democratised Europe post-1989 through the means of contemporary art.